The subtle peated cigar for the aficionado who loves Scotch. Meticulous care and analysis is taken during the blending of each Caleanoch cigar. The master blender ensures the exact proportion of peat and air-cured tobacco is organized for the roller in order to construct each Caleanoch to its specific strength specification. 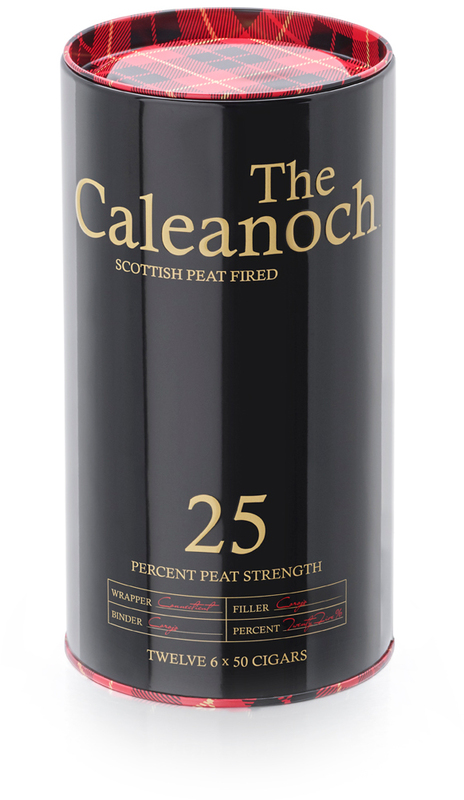 For Caleanoch 25 the blender ensures 25% of the Tobacco in the filler is peat fired.